onto the columns of his studio. Sometime after, during a perfume session,his daughter explained the birth of the Claude Montana’s perfume bottle. As he loved horses and was a keen rider, he thought and imagined the neck of a horse that he twisted then. Later, I interviewed him in Boulogne. As a young journalist I was intimidated by his presence, his culture and know-how. Serge Mansau is a free man, just as must in the conception of his art as in his style. In fact, he used to declare himself « versastyle », wanting to point out he did not want to adopt a style ! In one word, he was a real artist. An artist with very strong convictions, and so brave in his ideas… to even refuse an order, if he consided not to be suitable for the job. In fact, Dominique Daviaud from Lalique recognized his immense talent, but was well aware, that he would change his peace of work, by a iota ! Thus, a normal reaction of any artist ! Have we ever asked Picasso to change a colour frome one of his paintings ? 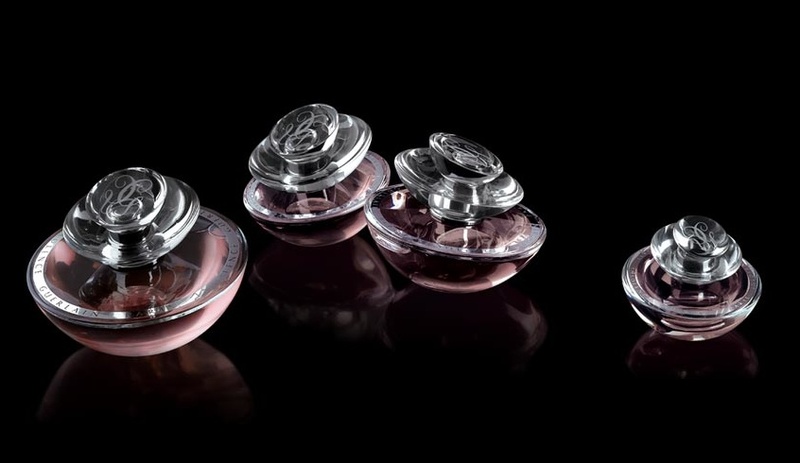 Serge entered the world of the perfume bottles by his scenography work. After attending a course at the Mime Marceau studio, and meeting Charles Dullin and Blaise Cendrars, he started as a scenograph at Charles Dullin, and became decorator at Helena Rubinsteiin’s shops. It will be there, that he created his first perfume bottle, a iconic flacon named Skin Dew, His passion for the theater wil allow him to become the Ambassador of the inexpressible. For him, the fragrance was comparable to a text, with which it was possible to play with, while the bottle was tbeing he actor. So that is how the vial became the main actor for the brand and the perfume. With a thousand ideas in one minute, he would dig into his inspiration, right at the roots of nature, by reproducing onto the glass, either the veins of a leaf, either the volume of an insect, or the polished aspect of a pebble or a sea-shell.» His huge knowledge of the glass was astonishing, even the most tiny details. More, his designs were always feasable, while asking us to extend our technical limits. 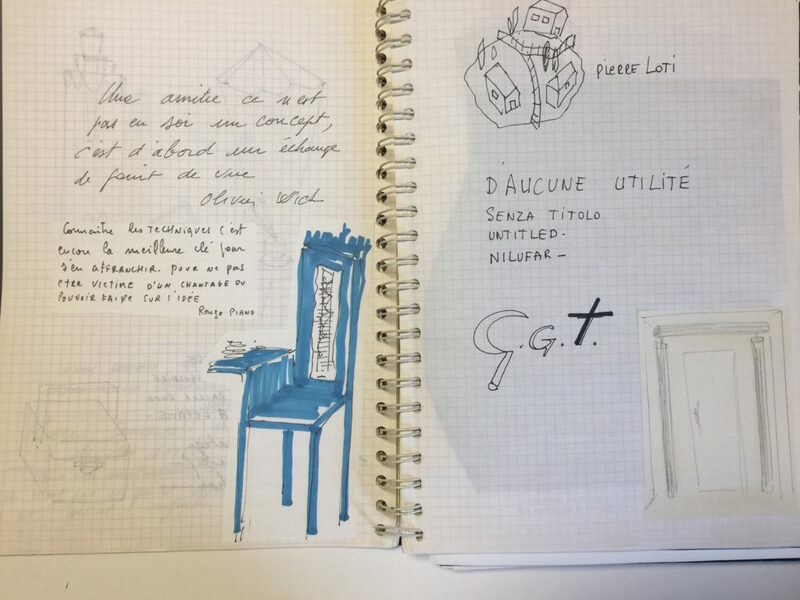 In the end, he liked to come to the factory and was appreciated by the technicians who were forced to do one more technical step forward» tells me Catherine Descourtieux, at the time at Saint Gobain Desjonquières. With an insatiable interest, he fed himself on thoughts, that he wrote every day, on a note book. He loved being surrounded by long-term friends, as he was fitted with an exceptional human quality.He had a real fan club who all were fond of his caustic humor and his love for playing on the words, underlines Anne-Caroline Prazan. She will, even, ad « Among all the maketing people, he captured very quickly, that I understood him. That is why, we maintained such a relationship of confidence and respect. He had even become a spiritual father for me » More, moved, she realizes that she has kept a bit of Serge in her own office ,as she has also a very special watch, tha he had made for her. Jacques Vignaud, another of his great friend, author of a book Sentir and also creator of perfume brands, will always remember his huge artistic culture.He keeps in his memory, a memorable guided visit at the Maeght fundation, that he knew better than anybody else For him, one only meets a man of such a stature,once. 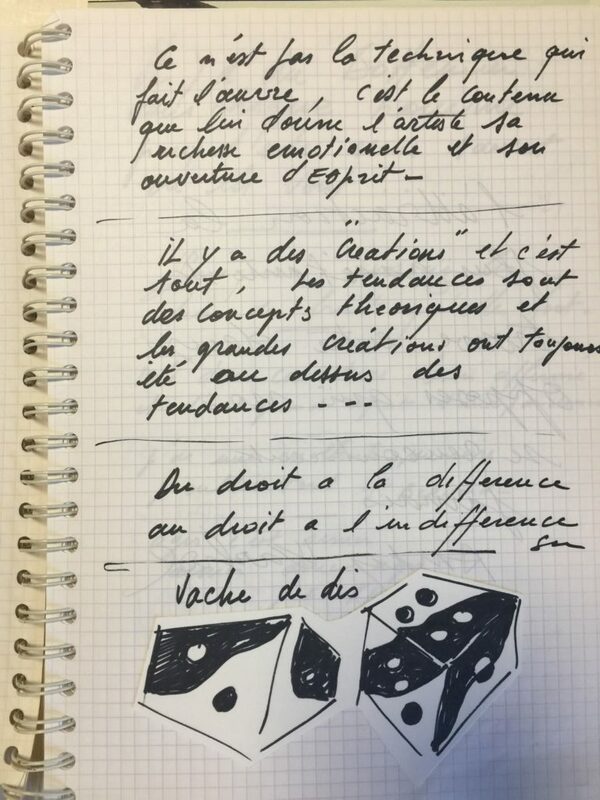 It is also what Gilles Thevenin shares for his intellectual and artistic duels.In fact,Serge appreciated the company of people with strong personality. In turn, Veronique Gautier remembers » how impressive,he was with such a great sensitivity, and how he was capable of expressing our requirements in a poetic manner, and also, surprising us and enchanting us all along.. He was, a strong and a moving man, at the same time». What about his perfume bottles ? When asked what perfume bottle he prefered, his answer was » all of them, otherwise he would have never sold them » says Estelle,his wife. In fact, they represented all his children with powerful stories behind them. 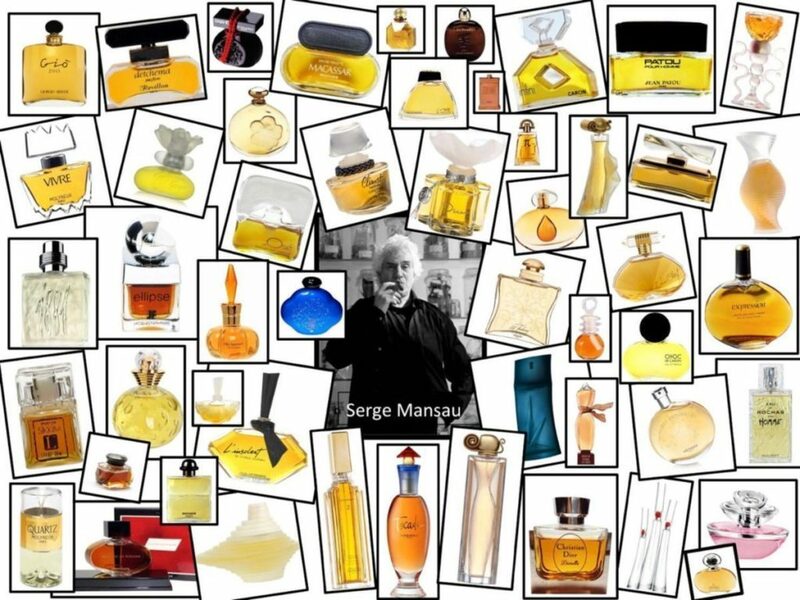 In fact, an exquisite and intellectual story is hiding behind each of his 250 perfume bottles that he designed. More, Pierre Broc, President of the Kenzo perfumes, told me in a mischievious manner, his visit with Kenzo Tagada at Serge’studio. « At that moment, in the middle of the shambles, Kenzo spotted a pebble, and Serge took out his chewing-gum immediately, that he applied onto the pebble so to plant plastic flowers on it. 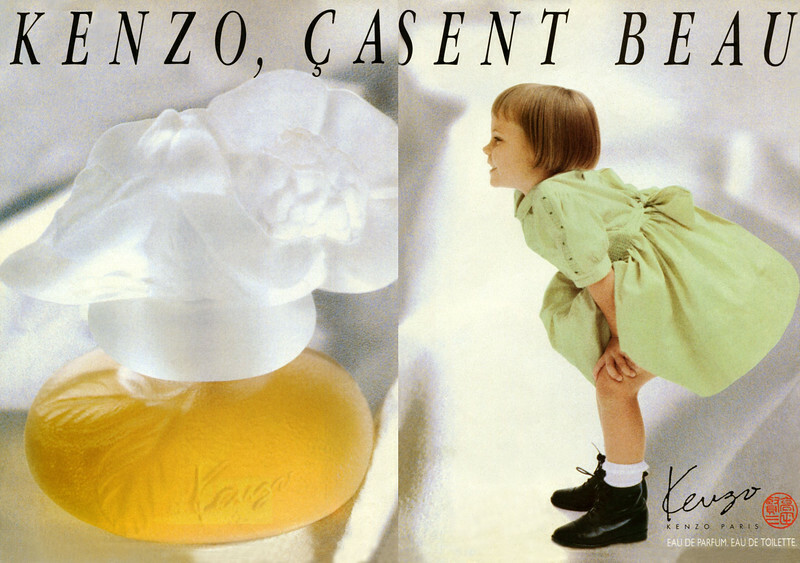 That is how the Kenzo vial was born !… And Pierre Broc to add »Once on our way back, Kenzo told me, it’s damn easy to design a fragrance…Then, Pierre to go on to say »there are sometimes miracles happenings. But for Serge, there were lots of miracles. 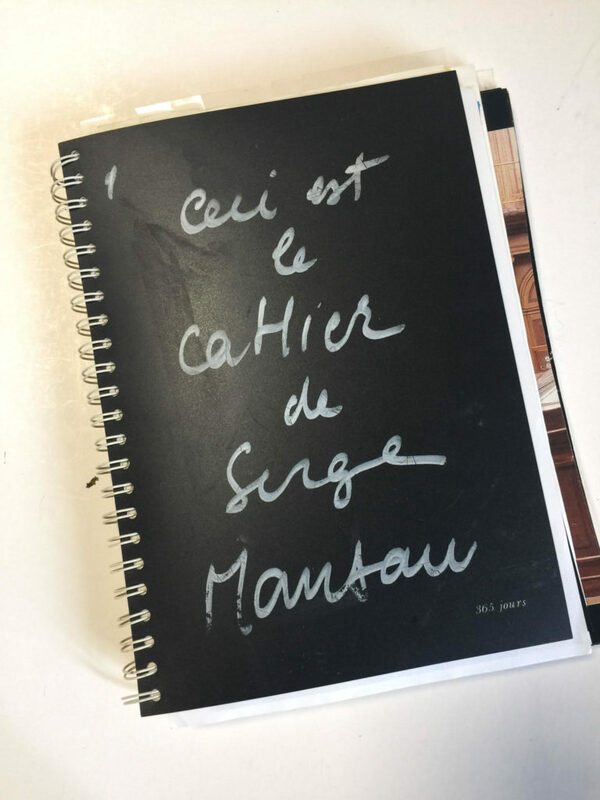 « Behind his imposing appearance and his white hair, Serge could show a difficult character to live with, but he had very deep in him, an immense generosity », says Estelle. 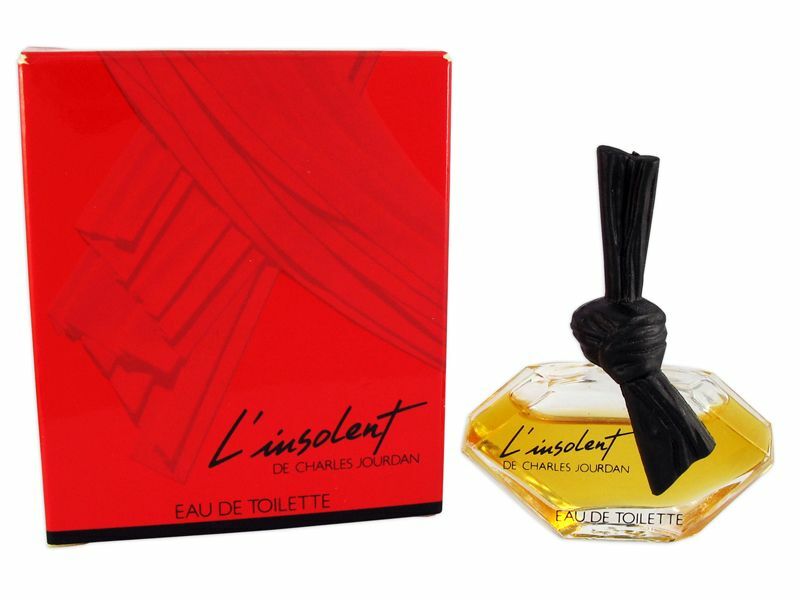 It is also a quality that Jacques Vignaud approves, as he has conceived with him the L’Insolent from Charles Jourdan. 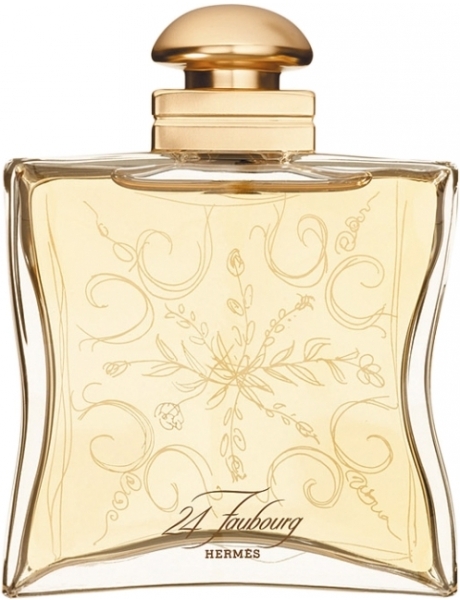 « He suggested to me a bottle with a cutting and asymetrical form, nestled into a Fortuny material. Then, he added « A woman is like a diamond, and if one does not know how to seduce her, one cuts her off » For Serge, there is a special way of looking at a bottle and most of it all, an adequate gesture to hold it. In one word, Serge will leave a huge emptiness behind. Nevertheless, we all hope that he will pass on his imaginary world, with only one limit that is, the Paradise. 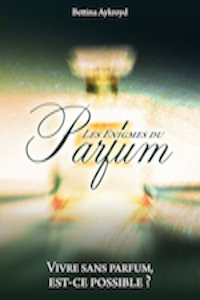 As a matter of fact, Nicolas Goulier has a special request » And why not encapsulate the perfumes of Heaven ? Respect » We all hope so ! Est ce qu il y a la traduction en francais ??? ?